At Southland Farm Services Machine Operations a team of designers assist us on taking your specifications and requirements and making them into a fully functioning water or effluent system; suited for each individually unique farm landscape and environment, because we recongnise that no two farms are the same. We are able to supply, transport and install tried and trusted products to compliment your uniquely designed plan. 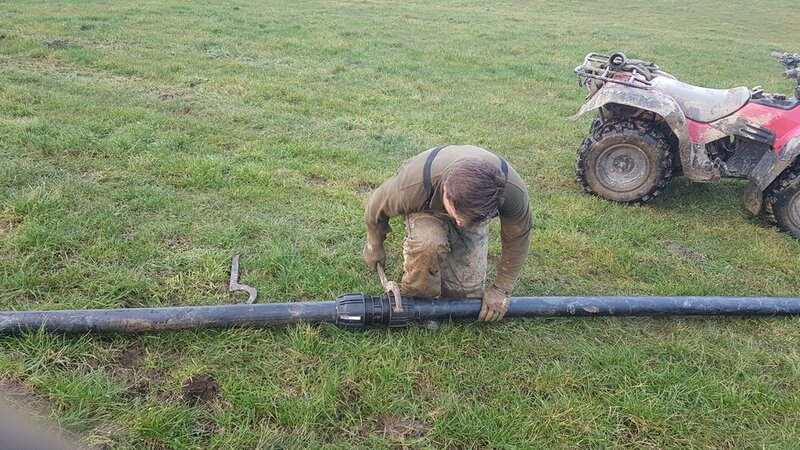 To supply the most complimentary effluent system for the farm, the Machine Operations' team spends time on site with the client brainstorming and planning the system. We design a system that takes the wants and suggestions of the client in consideration with the requirements and regulations specified. 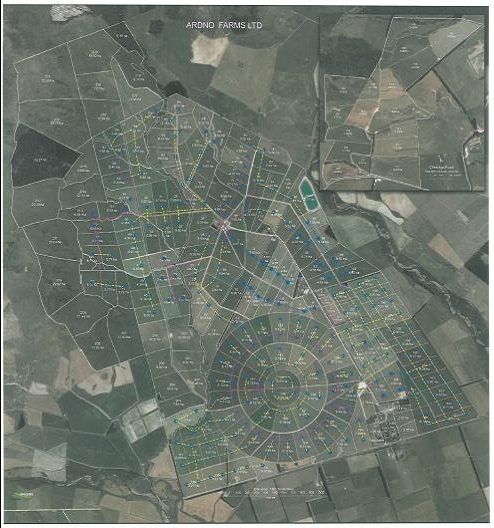 Machine Operations' develops the initial plan using a farm map and using a specified program to work out the specs, making sure that the effluent system is going to be functional before installing it. 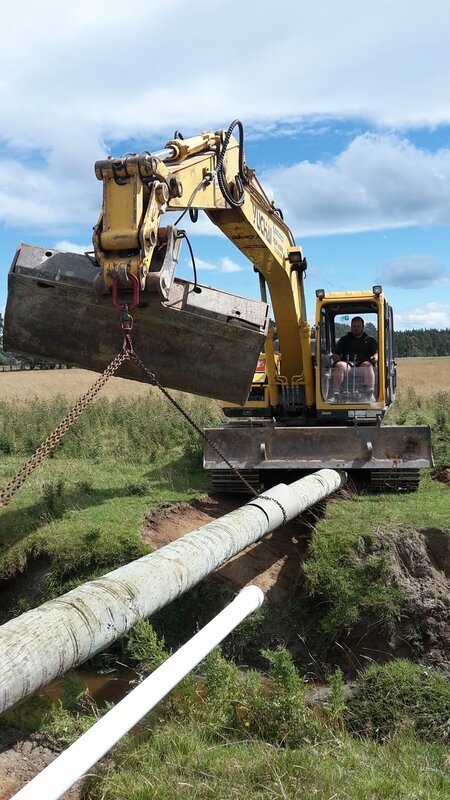 We are able to then go on to supply the products needed for the chosen effluent scheme, from pipes to hydrants and pumps to effluent spreaders; such as a Cobra Raingun. We are able to install the system efficiently with the help of our specialised machinery and when the installation is finished, Machine Operations completes a full test on the Effluent system, making sure that the system is working within the parameters of your consent. At Southland Farm Services Machine Operations a team of Designers assists us on taking your specifications and requirements, making them into a fully functioning system suited for each individually unique farm landscape, because we recognise that no two farms are the same. With the abilities of an uniquely designed 14 tonne digger we have the capability to complete the job efficiently. Our 14 tonne digger is decked out with a vibrating front mounted plough and self-feeding pipe reel, with a capacity of 75mm pipe; this gives us the ability to split the ground and lay pipe at the same time, which equals a more proficient job completion with less time taken, less harm to the surrounding environment and less cost for the client. Our suppliers allow us to supply troughs, fittings and pipe, and we are happy to stand beside their tried and trusted products. In addition we have the capabilities of transporting all the required equipment to site for yours' and your pocket's convenience. Machine Operations also has capabilities for site preparation and experience in telecommunications underground construction. 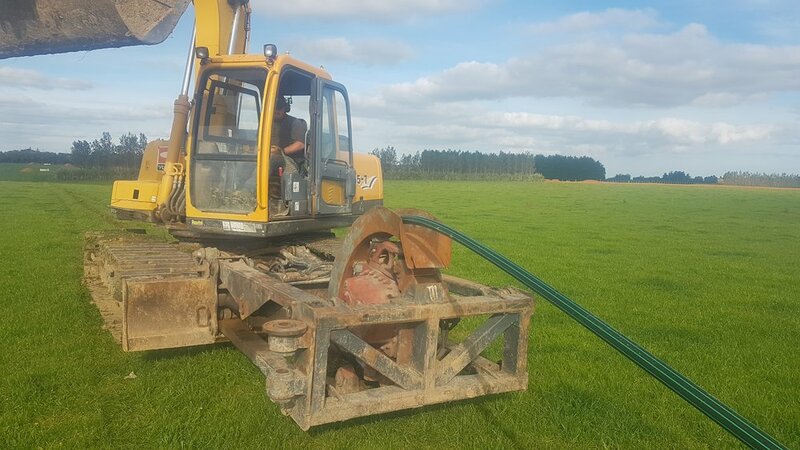 We contracted Southland Farm Services to install the water and effluent line system on our new dairy conversion. We were very pleased with how the process went and the final outcome has been a water and effluent line system that works well. 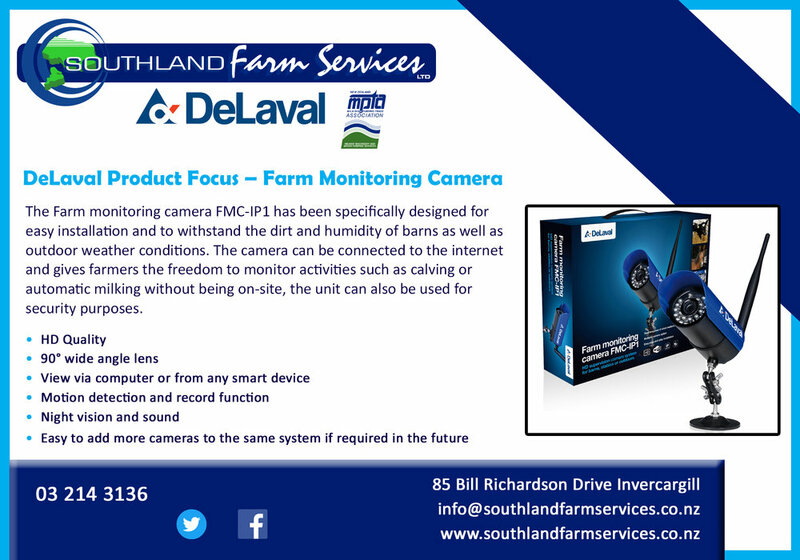 In the initial planning stages Southland Farm Services offered sound advice and offered practical solutions. They understood and worked within the confines of our budget. 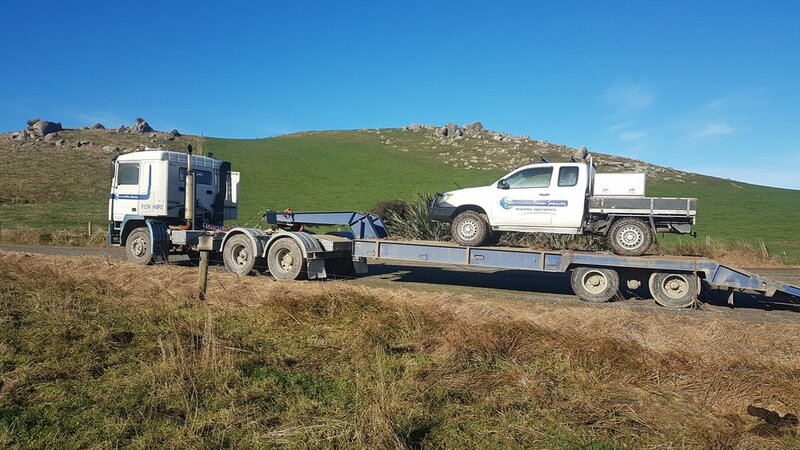 Southland Farm Services was very professional in their approach to the job. They completed the work within the allotted time frame. The men that worked on the project were able to follow our plans unsupervised, and completed the work to a high standard. They were motivated and efficient with their time and managed to complete the job in appalling wet weather conditions. Any changes that were made throughout the project were made with ease and without any hassles or objection. 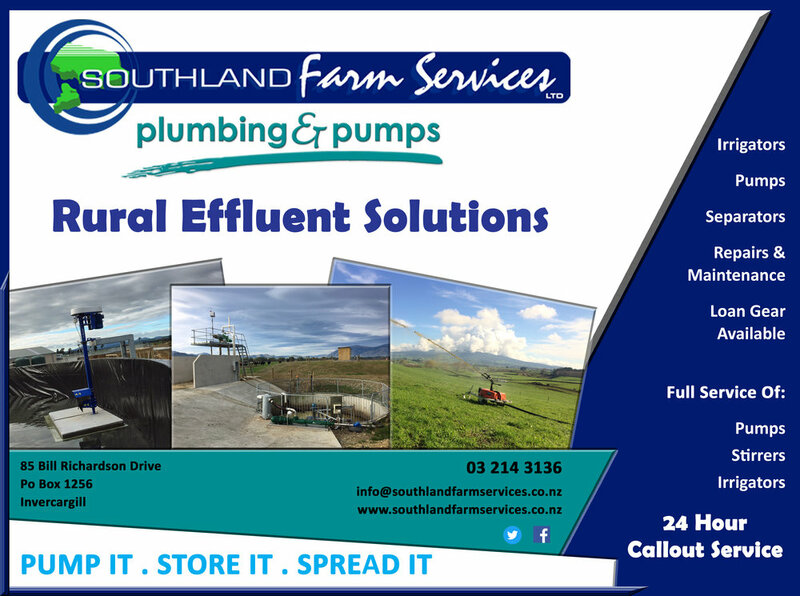 As a Director of a farming company that has project managed four dairy conversions over recent years it is with pleasure to offer ourselves as a reference for Scotty and the team at Southland Farm Services regarding water supply installation and design. From the outset Scotty has bent over backwards to accommodate us on what has been a tricky installation as the block converted was still being used as a horse stud with horses still being on the property and the necessity to work in closely with the outgoing owner. It was imperative for us to maintain the good relationship that had been created going into the project with the landowner. This involved a huge amount of flexibility required by Scotty and his team that was appreciated. The installation process was the smoothest that I have experienced with the quality of workmanship at a high level. I would recommend Scotty and his dedicated team for any similar work in the future if it was to be conducted at the same level they have shown on this project.